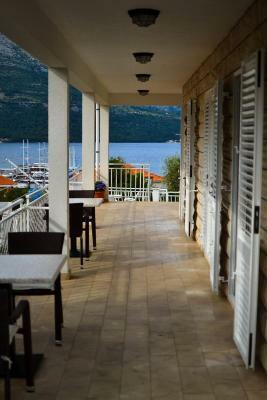 Lock in a great price for Accommodation Drasko – rated 9.5 by recent guests! Helena was an awesome hostess. She sent her mother-in-law to meet us at the ferry to guide us to the Drasko. She spent time explaining the facilities and gave some excellent tips on restaurants. She made sure we were well cared for and even had her husband drive us to the port hen we left. 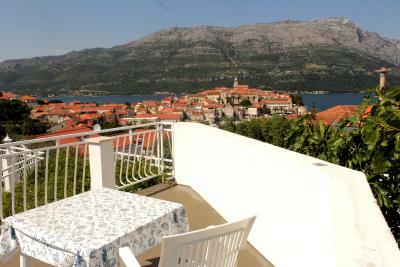 The views of the city, the water, and the adjacent peninsula from the Drasko are stunning. Location staff and balcony was wonderful. We were picked up at ferry and after our stay we’re given a ride back to ferry. Very helpful and thoughtful. Helena was extremely helpful with coordinating our arrival and even helped with dinner recommendations and reservations. The room was clean and had good AC and WiFi. 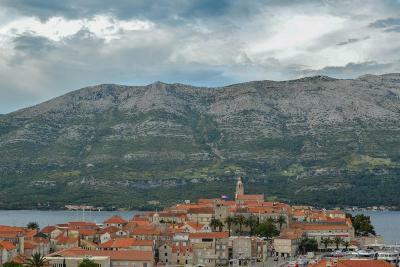 Nice views of the old town from the balcony as well. It's close to the main bus station. The host came to the port to pick us up. She is nice. 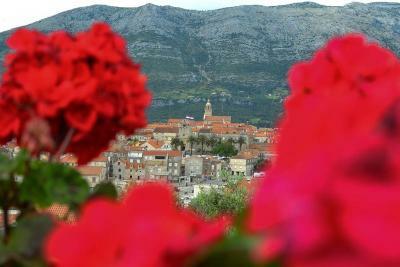 You can see the old town from the balcony. Our host met our ferry and escorted us to the property which was up on a hill so we had a view overlooking the harbor. She made useful suggestions on places to eat. We were able to hang our wet things on the clothesline provided outside our apartment. The bus station was nearby. The view from the terrace and balcony is fantastic! The interaction with the other guests was so much fun! It was great to relax on the balcony all together after a day of activity. 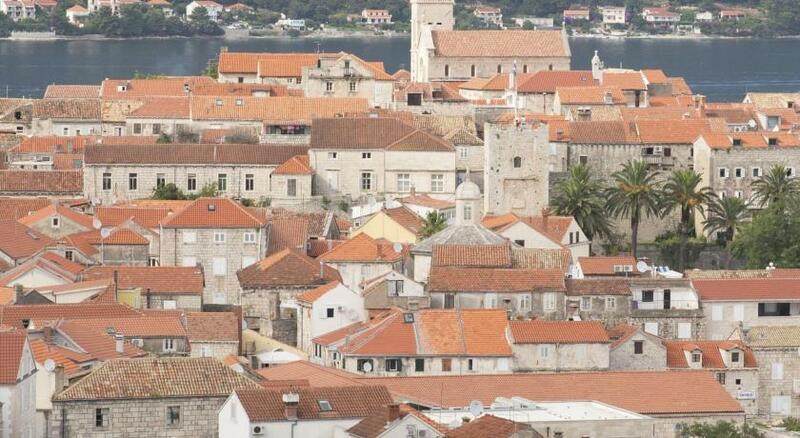 It was quiet at night so you could sleep with an easy walk to the old city, maybe 7 minutes. Everything was better than expected. We would absolutely stay here again! Helena and her mother in law are so nice. The location is very convenient yet quiet. We are very pleased with our decision to stay here. 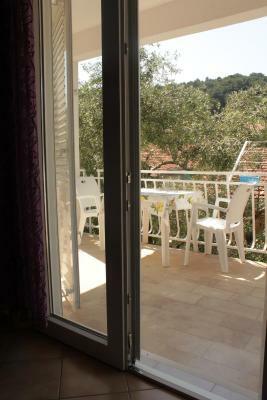 Excellent location, clean room and terrace with an amazing view. We have a mini kitchen in the room, which is very convenient for making a simple breakfast, team and coffee. They also have a communal kitchen. After checking out, we went to the beach and were offered to have a shower in a shared bath room in the house before boarding the catamaran to next island. Helena is a great host. She greeted us at the ferry when we arrived, had her husband picked us up by car, and also sent us to the ferry when we left. She was very cool and patient, and provided very helpful recommendation on beaches and restaurants. Thank you Helena for everything! The people were very nice and the location was good. 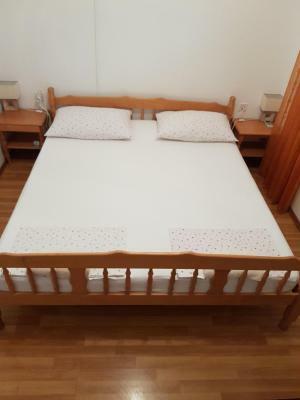 Accommodation Drasko This rating is a reflection of how the property compares to the industry standard when it comes to price, facilities and services available. It's based on a self-evaluation by the property. Use this rating to help choose your stay! 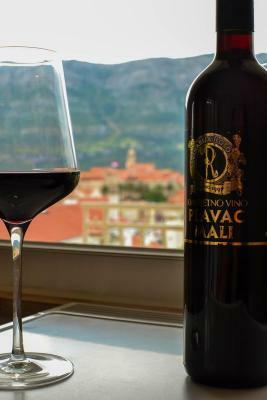 One of our best sellers in Korčula! 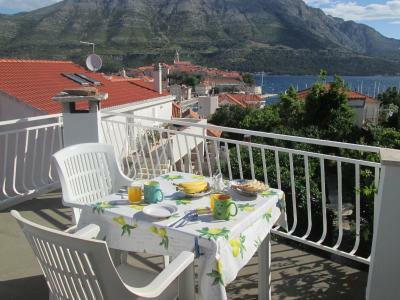 Accommodations Drasko offers air-conditioned rooms with a balcony or access to a shared terrace with views of the sea and the Old Town of Korčula. Banje Beach and many restaurants and bars can be found just 650 feet away. 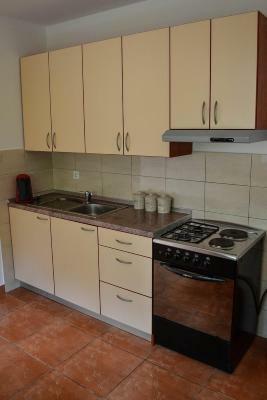 Guests can freely use the fully equipped kitchen of the Drasko Accommodations. Potatoes, onions, garlic, oil, vinegar and selection of teas are provided for free. 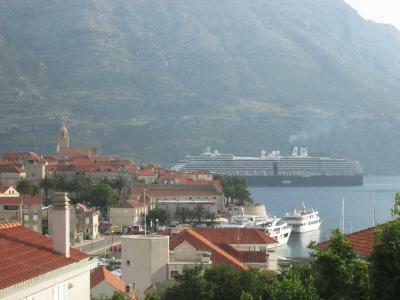 The city port can be reached on foot in 5 minutes from Accommodations Drasko. 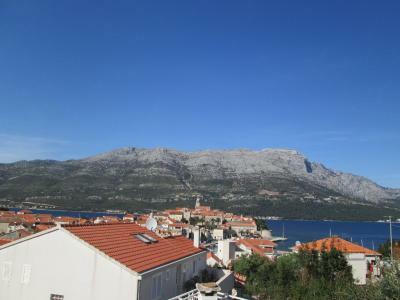 뀐 Located in the top-rated area in Korčula, this property has an excellent location score of 9.6! 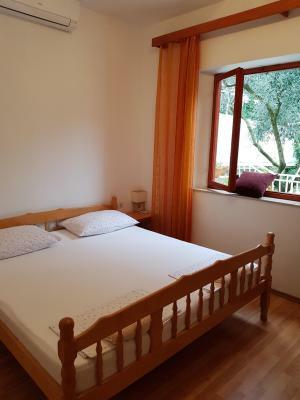 When would you like to stay at Accommodation Drasko? 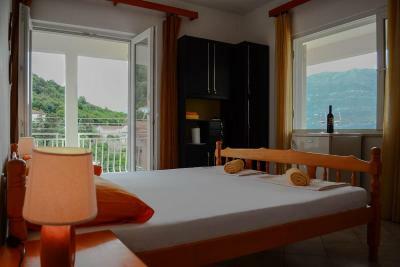 All rooms feature a balcony that overlooks the sea and the Old Town. 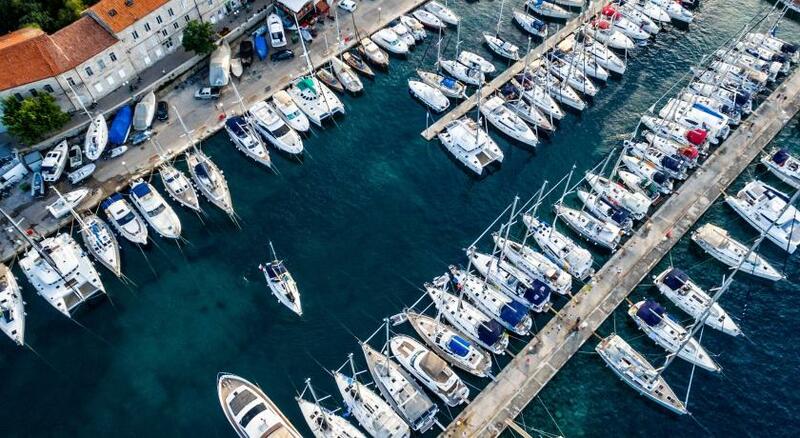 They are also equipped with air-conditioning, a fridge and a private bathroom. The room provides access to a shared kitchen. 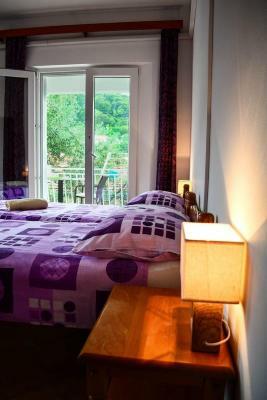 All rooms feature a balcony that overlooks the sea and the Old Town. 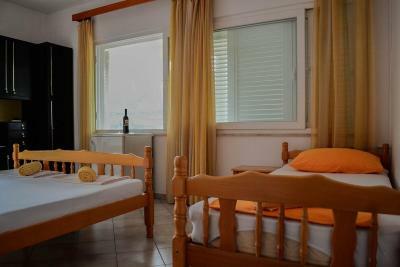 They are also equipped with a air-conditioning, a fridge and a private bathroom. The room provides access to a shared kitchen. House Rules Accommodation Drasko takes special requests – add in the next step! Please note that the property can be accessed only via a flight of stairs. 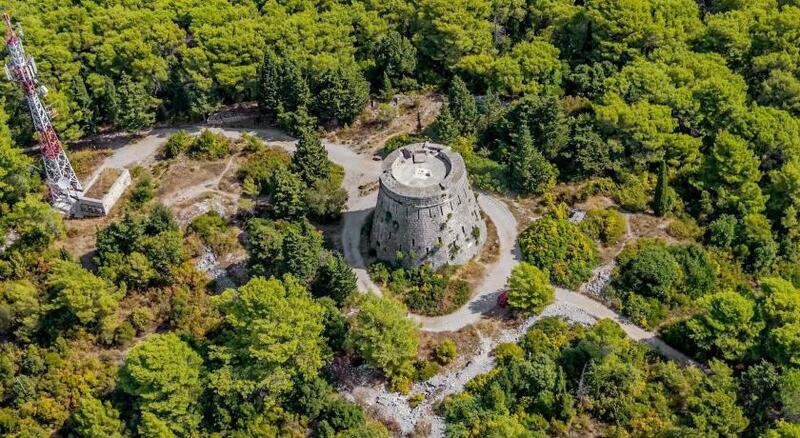 Please inform Accommodation Drasko of your expected arrival time in advance. You can use the Special Requests box when booking, or contact the property directly using the contact details in your confirmation. Fantastic accommodation!!! The owner is lovely and helpful. Great views, very spacious, clean, WiFi. 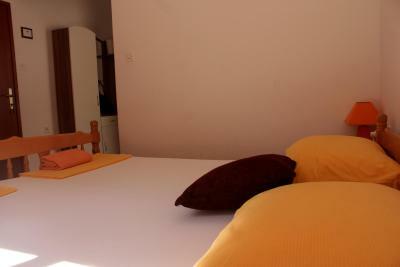 Some great additonal benefits: each room has a balcony table, there is a kitchen for everyone to use. We loved it. Thanks. 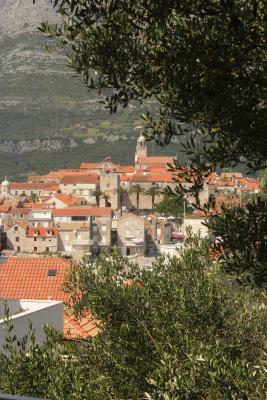 Great location with great views overlooking the old town. Helena the owner is very helpful also picked us up at the ferry. This is fairly basic accommodation. It would have been pretty small if we had stayed much longer. The service that Helena provides is fantastic. Met us at the boat, washed our clothes, arrranged to have her husband take us to the ferry, just some of the things she did for us. This is fairly basic accommodation but outstanding for the price. Everything - the location was perfect, and the advise and recommendations given by the host were spot on. Highly recommended! When we first arrived and viewed the many stairs we had to take to reach our accommodations, we considered it quite daunting. We had been offered the chance to have our luggage picked up by car, but we were overconfident that could handle it ourselves. We did, but it was a close-run thing. 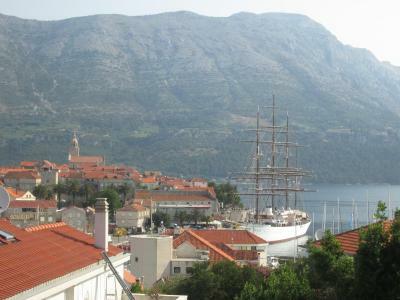 HOWEVER, once we saw the magnificent views from the Drasko, we were extremely happy we chose it. One couple did have some difficulty getting internet in there room, but did get it just fine on the terrace outside the room. Helena, the young lady managing the property speaks English very well and lives downstairs with her family. 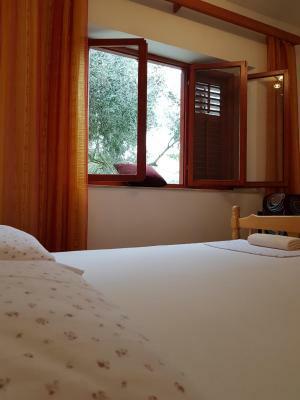 She has a very helpful and practical approach and offers a lot of tips for your stay. On request she will make laundry for you. The house is very clean and tidy. 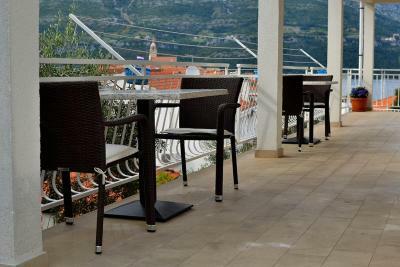 There is a shared terrace with a wonderful view to the old town and the backdrop of the mountain range. 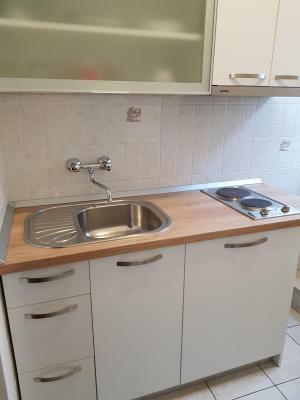 There is a well equipped, shared kitchen downstairs as well. I like the shared facilities for the chance of a chat with the our guests. 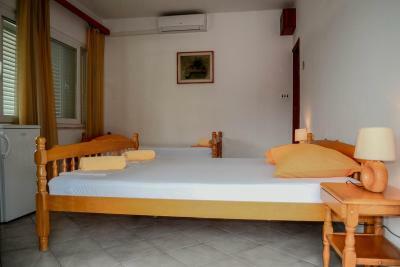 The room had air condition, a medium sized refrigerator and a private toilette / shower. The house is close to the bus station though some steps are involved. I cant say anything negative about this place. In fact it exceeded our expectations. 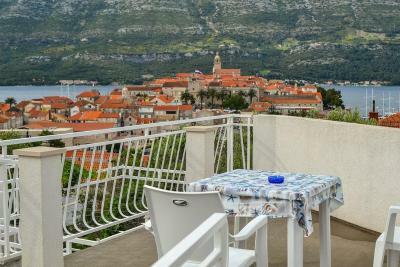 The apartment was in a great location with an excellent view from all of the terraces. The photos do not do the place justice. Helena was very helpful and even arranged a day out on a private boat which was the highlight of our trip. Would highly recommend this place! 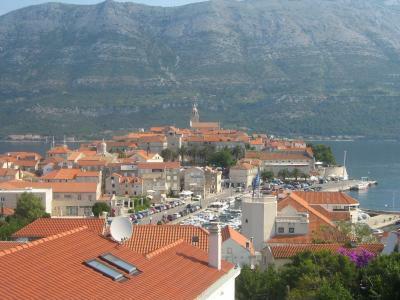 Cant wait ro return to Korcula and Apartment Drasko. 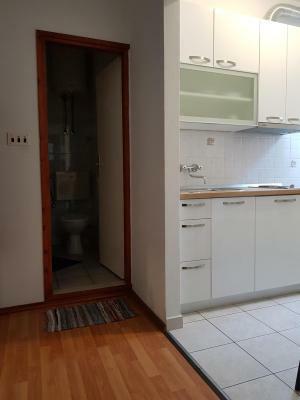 Very small room and very very small bathroom. 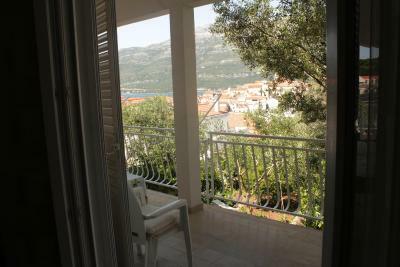 Great location, lovely view of old town and owners were very helpful. The lady welcomed us at the harbour even though the boat was late. The room was very clean. The place is just 3 minutes away from the little city. We really appreciated that a room with a shower was made available to us even after we had checked out - it made it possible to take a shower after swimming in the sea. This is not so common. 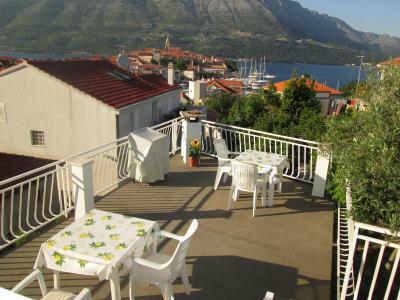 Apartment was lovely and very clean, with wonderful private outdoor deck areas with stunning views over old city and the sea. Helena is an extremely helpful and very responsive host. She and her husband, Ante, collected us from the ferry and drove us and luggage to the apartment, which was easy walking distance but up quite a few steps. Helena is happy to organise tours/activities for guests through local tourist agency, and provided us with all the information we needed about what to see, where to eat, shop, and how to get around.